Wellness Warehouse came into existence in 2007, and it is one of the leading retailers in the health and wellness industry. Since its launch it has grown rapidly to more than ten outlets, an online shop and two Wellness Cafes. 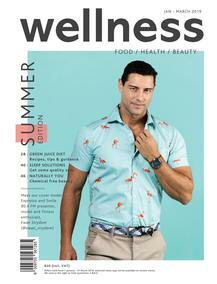 Moreover Wellness Warehouse has a flagship outlet in Cape Town on Kloof Street. This store in Cape Town has the following: nursing sister, Wellness Café, Well skin spa, a food store, pharmacy as well as a wide range of supplements and natural remedies. This retailer has in high regard a 360 degree approach to wellness, whereby health related solutions to solve any challenge associated with living better will be offered. As a result the Wellness Warehouse is South Africa’s first concept that has combined a range of healthy living dimensions together, thus offering a complete healthy shopping experience. This concept has allowed for more people to start living better. Moreover all staff are well trained to offer customers with the best advice on looking, eating, living and feeling well. In addition customers will be able to find exercise gear, diabetic products, supplements, baby and family care items, beauty related products and much more. In addition all products found at Wellness Warehouse outlets are made from natural and organic ingredients which will promote fast healing. Wellness Warehouse stores can be found in the following areas in the Western Cape: Sea Point, Plattekloof, Palmyra, Lifestyle Kloof, Helderberg, Glengarry, Gardens, Cavendish Square and Cape Quarter. Wellness Warehouse specials can be found on Guzzle via Wellness Warehouse catalogues. Such specials are available monthly while stock lasts. So you should keep your eyes glued on Guzzle to view Wellness Warehouse specials that will offer you the best healing solution for any ailment that you might have. All Wellness Warehouse specials are offered at very reasonable prices.